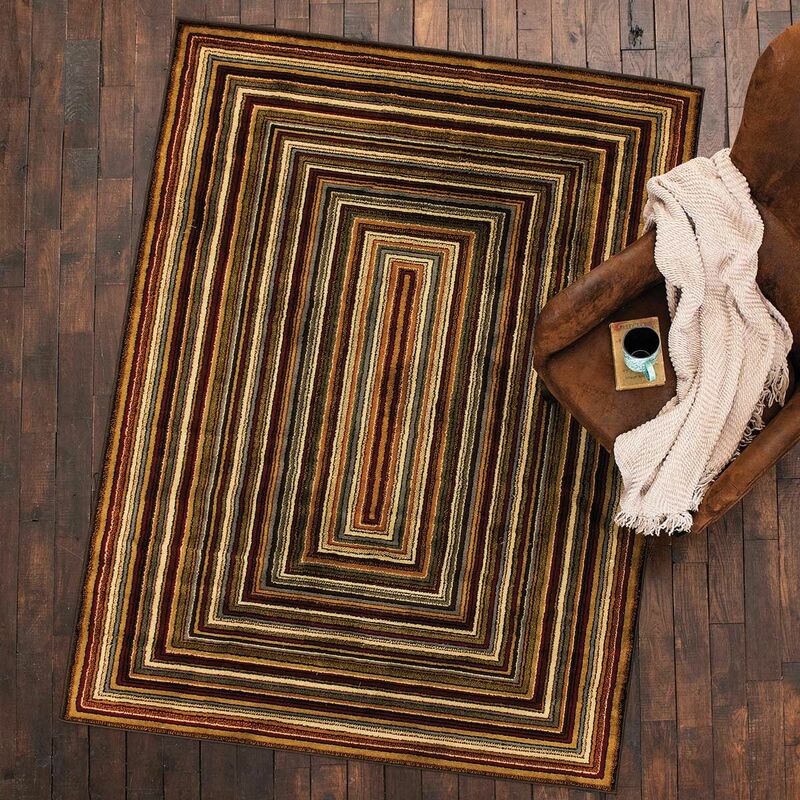 A Black Forest Décor Exclusive - Update your rustic room with simple and elegant mitered stripes in rich lodge colors on this olefin rug with jute backing. Stain and soil resistant. Spot clean. 1'10"W x 7'2"L. Allow 1 to 2 weeks.